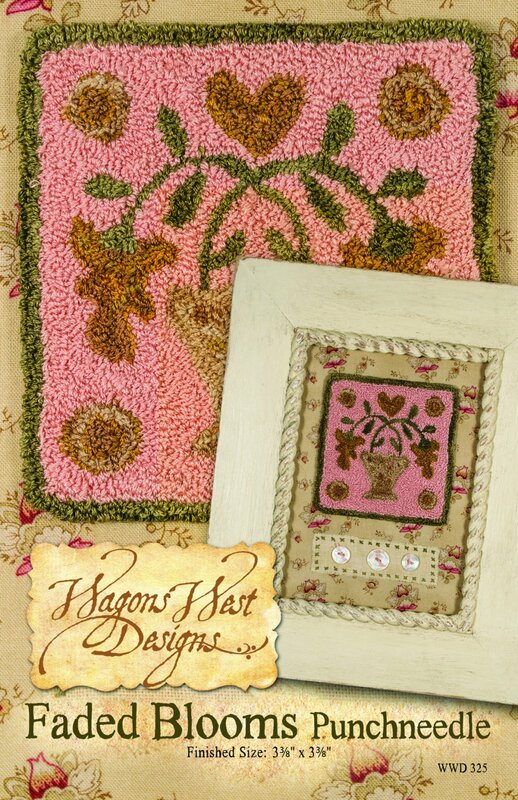 Participants will be making Martha's punch needle pattern, Faded Blooms Punch Needle. We will cover the following: different methods to transfer designs onto your foundation cloth, how to thread the needle, the punchneedle embroidery techniques, and different ways to archivally finish and display your finished piece. A class supply list will be emailed to students upon full payment. Some supplies (while supplies last) are available at Wagons West Quilt Shop & Studio. Martha Walker is an internationally award-winning quilter, author, national teacher, and fabric designer. Her numerous awards for her original designs include ribbons at International Quilt Festival, American Quilter's Society Quilt Show, National Quilter's Association Quilt Show, Pacific International Quilt Festival, Road to California, and the Mid-Atlantic Quilt Festival. Martha publishes patterns through her company, Wagons West Designs, and is the author of Betsy's Scrapbag, Annie's Scrapbag, Be Merry: Quilts and Projects for Your Holiday Home, and Vintage Christmas. Her quilts and designs have also been widely featured in publications such as Primitive Quilts and Projects Magazine, Quilts from Quiltmaker's 100 Blocks, Quiltmania, Quilt Country & Magic Patch (French only publications) Quilter's Newsletter Magazine, Simply Vintage, and eight volumes of Quiltmaker's 100 Blocks from today's top designers. Martha has designed fabric lines for Henry Glass Fabrics and Studio e Fabrics.